Minnehaha Park and Creek is a local favorite as it’s connected to the Grand Rounds Scenic Byway’s pedestrian and bike trails and has a nice seafood cafe open in the warmer months. It also has picnic grounds, a wading pool, play areas, bike and surrey rentals and one gorgeous waterfall with walking trails both above and below it. Nearby paved paths along West River Parkway and S. Mississippi River Blvd. are excellent for blading, biking and walking, and Winchell Trail (access at 44th Street, north of the park on West River Parkway) takes you through the woods on paved/ unpaved paths into the Mississippi River Gorge. 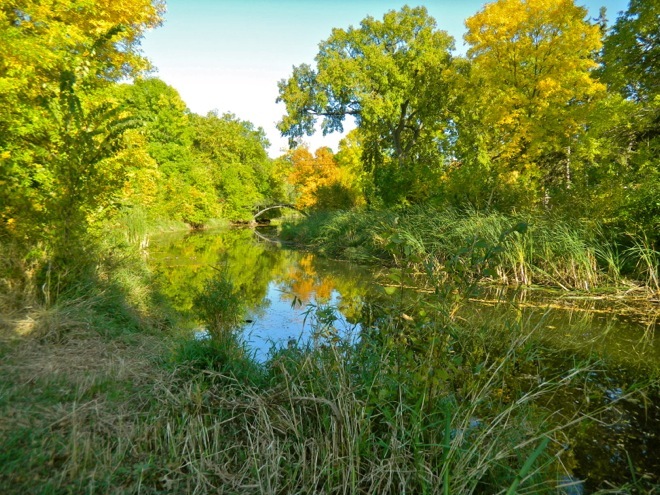 Minnehaha Creek runs several miles though urban Minneapolis, Lake Nakomis and Lake Hiawatha into the Mississippi River.